Great little RV park. Large paved sites and roads with easy access to 101. Clean bathrooms and laundry. Full access to pool and hot tub and work out facilities in the Hotel. 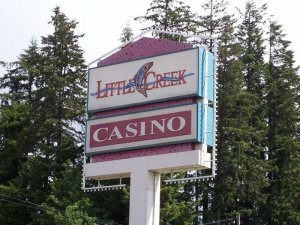 Clean casino with NS area, good food and live shows with name bands not tributes. Standard casino security, with patrols and good lighting.